Tina Nawrocki - Art and Animation: Pinups - Mini Melon Logo Caricature! 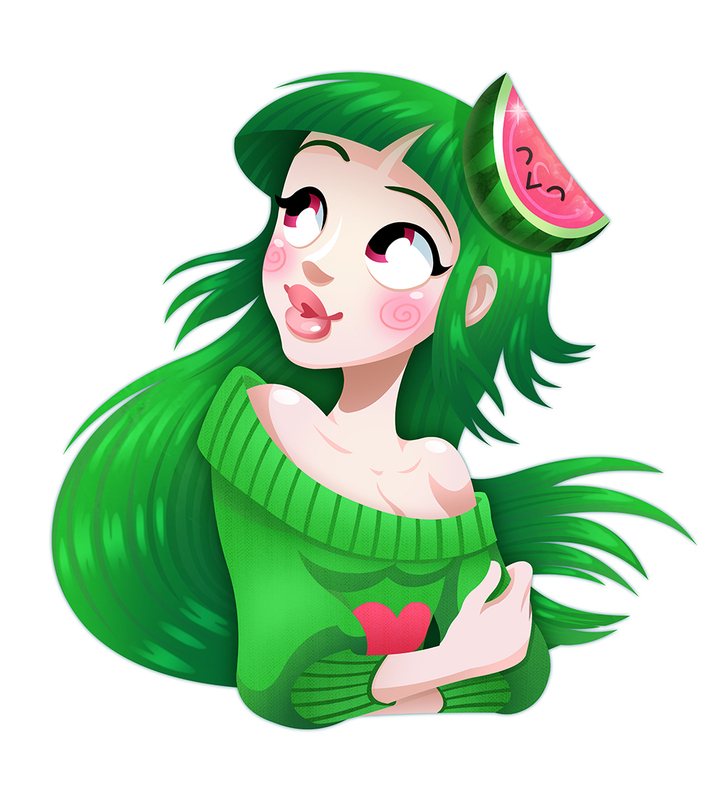 Pinups - Mini Melon Logo Caricature! I've had a wonderful return client, Vanna, ask me once again to collaborate! This time in creating her new logo featuring her Persona "Mini Melon". She will be using this pinup caricature for her very popular youtube channel. Being amazing, she even featured Cuphead on it. I think it turned out adorable, and she was very happy with the result! Here's Mini Melon!